BoardGaming.com> Games> Board Games> That’s Life! Much replay value with board construction and play variations listed in a clearly written and nicely illustrated manual. 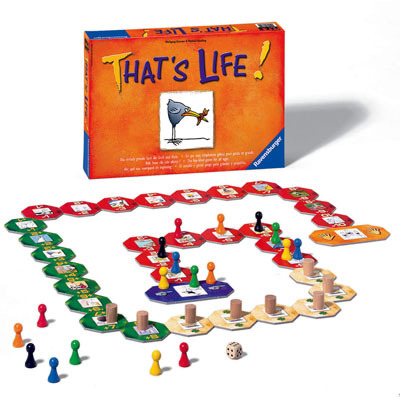 Add a Review for "That’s Life!"